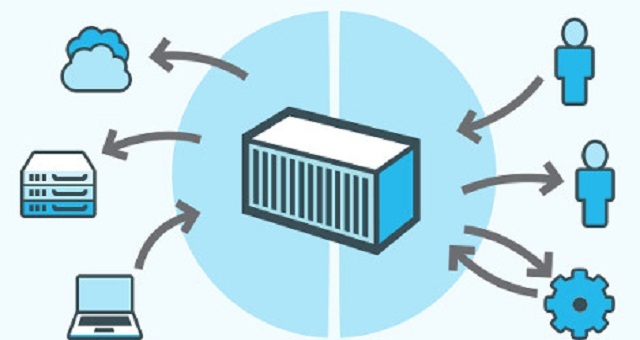 By default, any data created inside the container is only available from within the container and accessible only while the container is running. However, Docker volumes can be used to share files between a host system and the Docker container. For example, if you wanted to use the official Docker Nginx image and keep a permanent copy of the Nginx's log files to analyze later. By default the nginx Docker image will log to the /var/log/nginx directory inside the Docker Nginx container. Normally it's not reachable from the host filesystem. In this article, we'll walk you through the steps to make data from inside the container accessible on the host machine. Note: Even though the Prerequisites give instructions for installing Docker on Ubuntu 16.04, the docker commands for Docker data volumes in this article should work on other operating systems as long as Docker is installed. --name=nginx names the container so we can refer to it more easily. -d detaches the process and runs in the background. Otherwise, we would just be watching an empty Nginx prompt and wouldn't be able to use this terminal until we killed Nginx. -v ~/nginxlogs:/var/log/nginx Sets up a bindmount volume that links the /var/log/nginx directory from inside the Nginx container to the ~/nginxlogs directory on the host machine. Docker uses a : to split the host's path from the container path, and the host path always comes first. -p 5000:80 sets up a port forward. The Nginx container is listening on port 80 by default. This flag maps the container's port 80 to port 5000 on the host system. nginx specifies that the container should be built from the Nginx image, which issues the command nginx -g "daemon off to start Nginx. Note: The -v flag is very flexible. It can bindmount or name a volume with just a slight adjustment in syntax. If the first argument begins with a / or ~/ you're creating a bindmount. Remove that, and you're naming the volume. -v path:/path/in/container creates a volume named path with no relationship to the host. We now have a copy of Nginx running inside a Docker container on our machine, and our host machine's port 5000 maps directly to that copy of Nginx's port 80. 203.0.113.0 - - [11/Nov/2016:00:59:11 +0000] "GET / HTTP/1.1" 200 612 "-"
(KHTML, like Gecko) Chrome/54.0.2840.99 Safari/537.36" "-"
If you make any changes to the ~/nginxlogs folder, you'll be able to see them from inside the Docker container in real-time as well. In this guide we demonstrated how to create a Docker data volume to share information between a container and the host file system which is helpful in development environments, where access to logs for debugging are necessary.